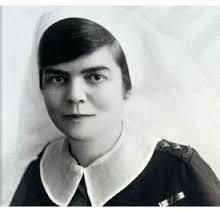 Connie Keys was was one of the most highly decorated nurses in the A.A.N.S (Australian Army Nursing Service). She was twice mentioned in dispatches (1 December 1916 and 31 December 1918), received the Royal Red Cross, second class (29 December 1916) and first class (3 June 1919), and was awarded the Médaille des Epidémies in recognition of work for French refugees. I love Connie's face - you can see the intelligence and determination just shining out. Selina (Lil) MacKenzie (we don't know who her friend was). Lil was a great photographer and it's through her pictures that I found out what the nurses' lives at Heliopolis were like on the inside. If you want to look at Lil's photos, they are here at the Museum of Victoria. One of her photos features on the front cover of The Desert Nurse. I haven't given Alice the prominence she deserves in this book - in fact, I've stolen part of her story and given it to Evelyn! She was a highly trained theatre sister and matron when she enlisted, and was soon given responsiblity in Cairo, including doing anaesthetics. Alice was awarded the Military Medal for courage under fire in France. 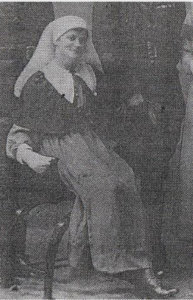 Mabel Pilkington was already a matron in a local country hospital when she enlisted. Like most of the Heliopolis nurses, she ended up serving in France. 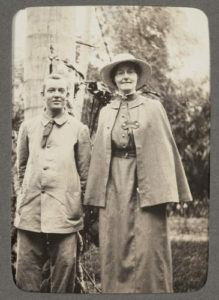 After the war she went to India, then came back to Australia in 1920. Yes, Dr Bennett was real too! 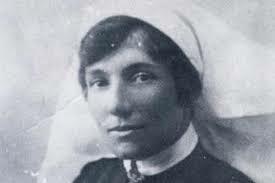 As we learn in The Desert Nurse, Agnes Bennett arrived in Alexandria as the Gallipoli wounded were being detrained. She stepped in to help and from then on became a crucial part of the medical response to WWI. 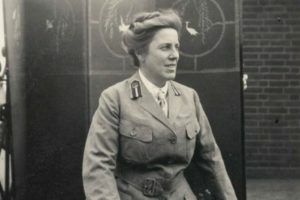 She ended up as the first woman officer in the British Army, in charge of all hospitals in the Serbian theatre of war. Although born in Australia, she preferred New Zealand and lived and practiced medicine there the rest of her life.